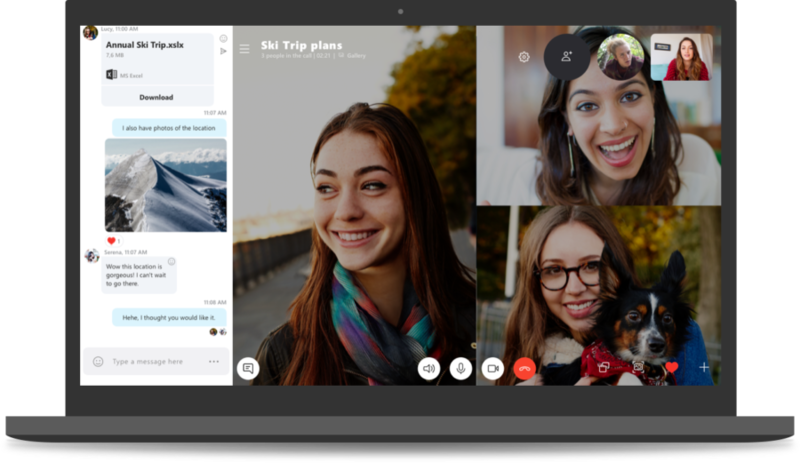 Last month Microsoft announced that they are ending the support of Skype version 7, which will get discontinued from 1st September 2018. Those who are still using the classic Skype app will be transitioned to the new Skype app. But the customers feedback was not so good with Skype 8 and thus the company decided to extend the support for some more time. Though the new support end date for the classic Skype 8 not yet announced,you may like to install Skype 8 and experience some new features like: Free HD video and screen sharing, @mentions, Chat media gallery etc. If you are interested to checkout Skype 8, here's how to upgrade to latest version of Skype app. Skype 8 to get many new features like Call Recording, Read Receipts and Private Conversation. Checkout this post to know more about the upcoming features. If you have come this far, it means that you liked what you are reading (Microsoft extends support for Skype 7 (classic Skype) for some time, based on customer feedback).